The Max King Events team worked closely with Naomi from Stevenson Group and her fabulous team, all the way from California, to produce this outstanding event at the iconic Hard Rock Cafe at Universal CityWalk! 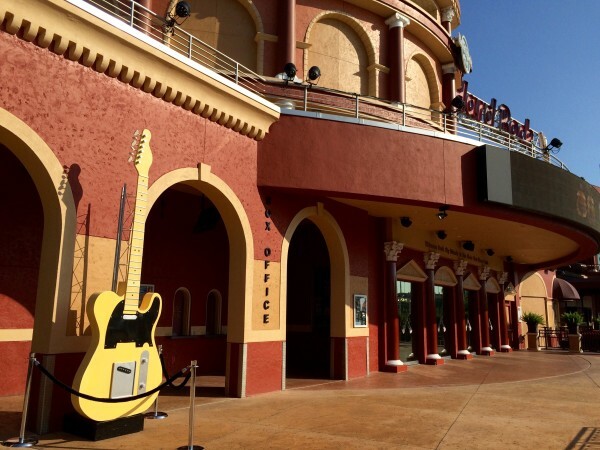 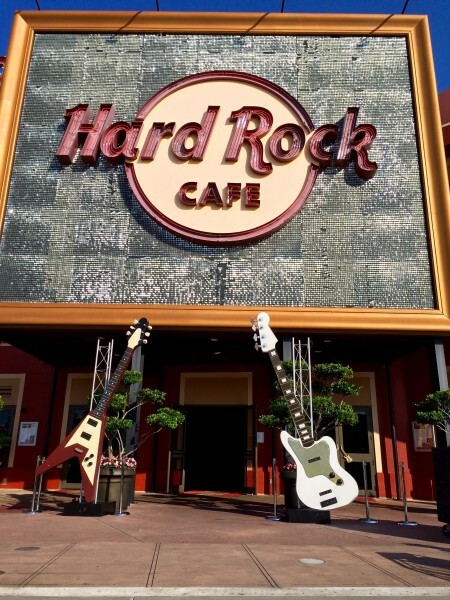 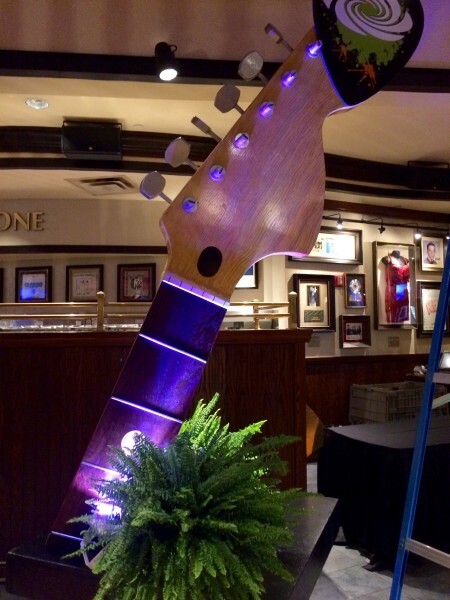 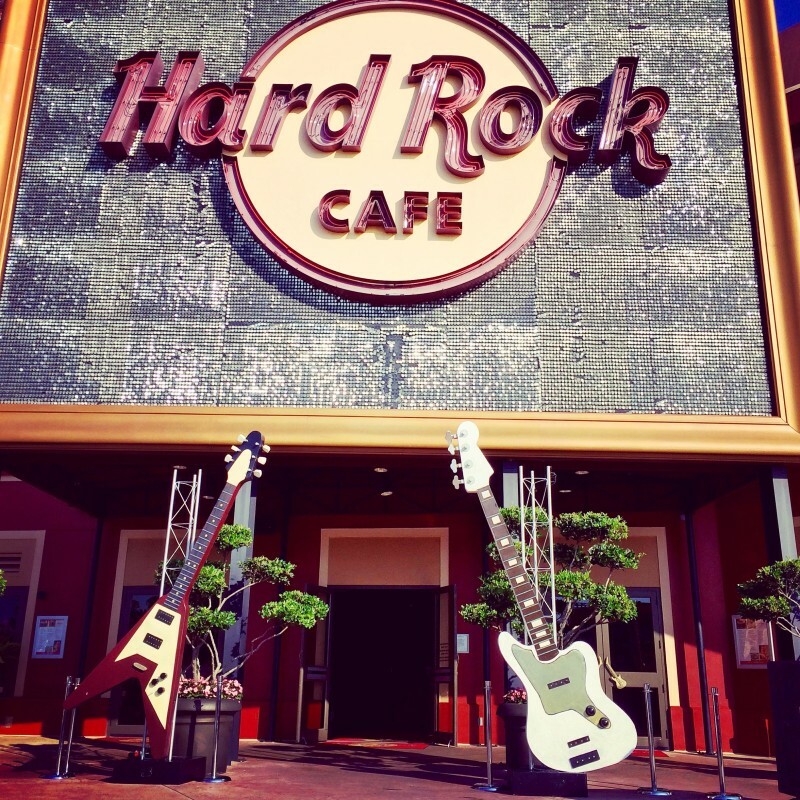 To create an entry way for the musical rock themed restaurant we placed our 12ft high Electric Guitar replicas of the “flying V” and “Fender Bass” on either side of the entry doors for awaiting guests. 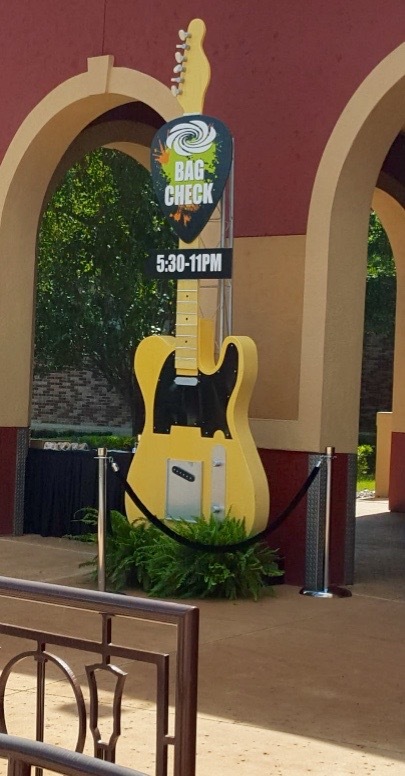 The “Blonde Fender Guitar” was used as a directional to meet guests at the outdoor baggage check. 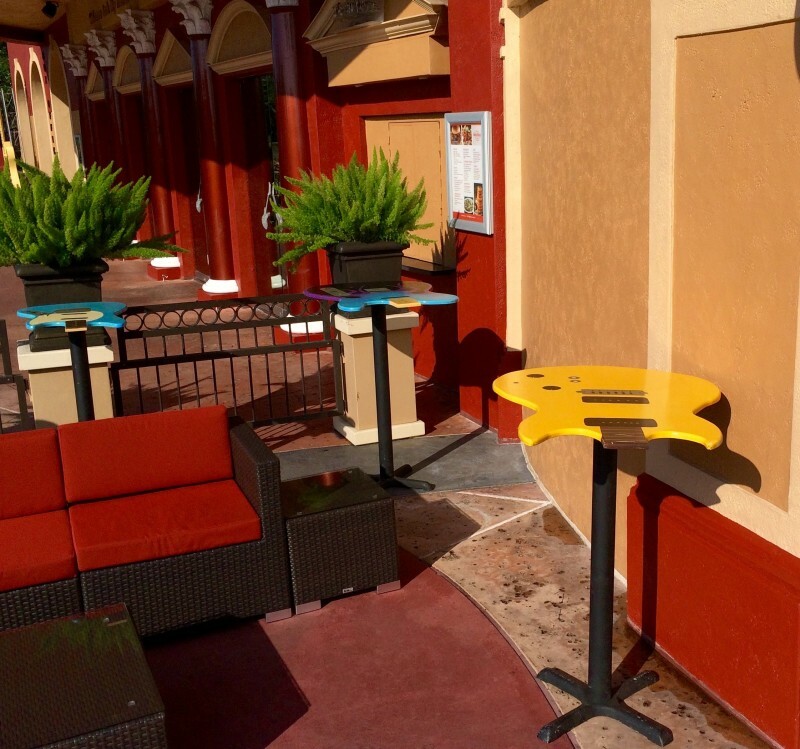 Our “Guitar Mania” Cocktail Tables were placed on the patio right outside the cafe that was used as an outdoor space for this event. 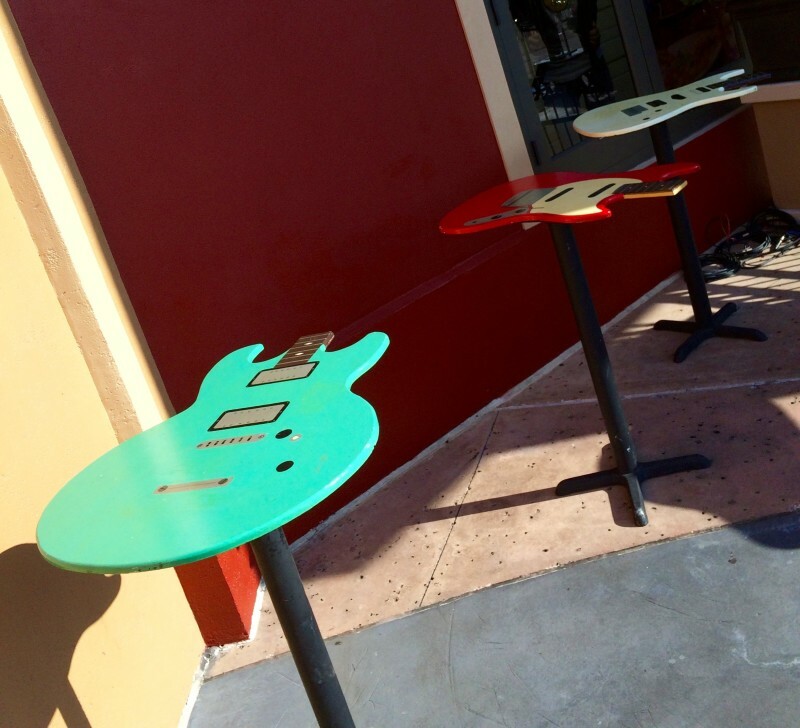 The colorful collection of guitars created extra table space where guests could enjoy drinks and added to the overall ambiance. 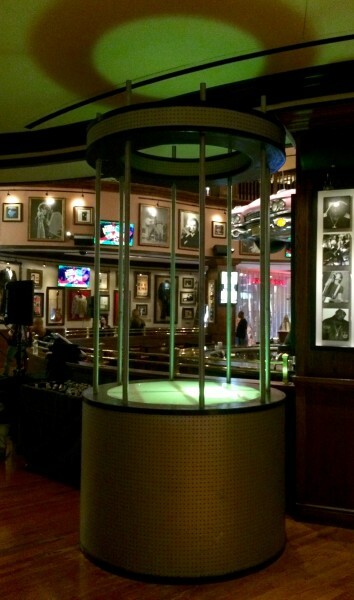 As guests entered the restaurant, dancers could be seen in two of our go-go style Dance Cages placed on the first floor. The floors of each matte silver cage were inner-lit with colorful, club style pulsating lights. 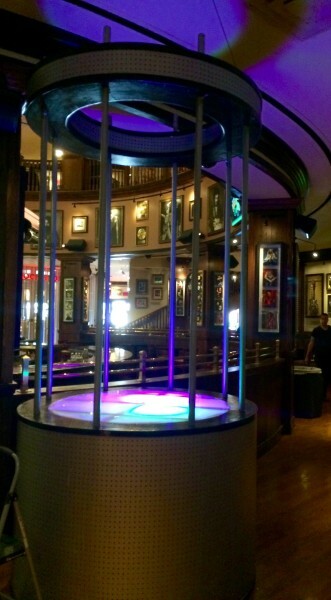 With slight modifications done to the Dance Cages, we were able to fit them inside the Hard Rock Cafe… There is no obstacle MKE can’t overcome! When guests arrived to the second floor, more of our 12ft high Guitar Perimeter Enhancements were awaiting them. In the Woodstock room, it was our “Hybrid Thunderbird” and in the Roots of Rock room, our “Ibinez Spattered Electric Guitar”. 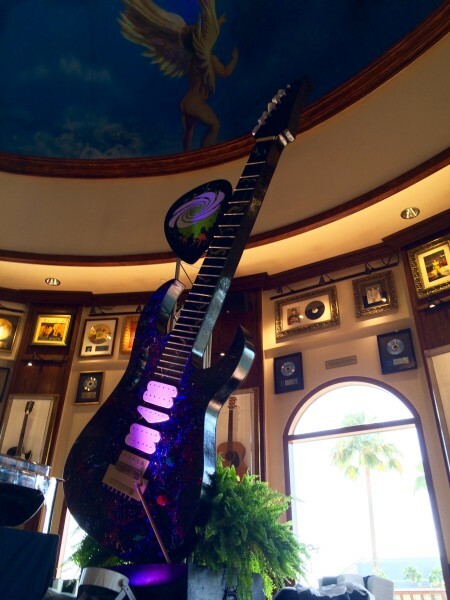 Both guitars were placed at the end of double-sided buffets to bring more of the ROCK ambiance to life. 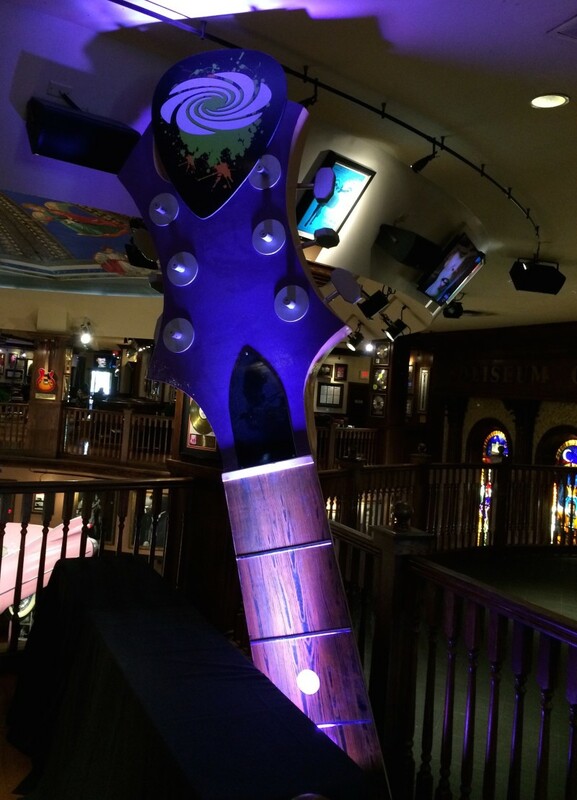 Our Guitar Necks were used on both the first and second floor of the venue. 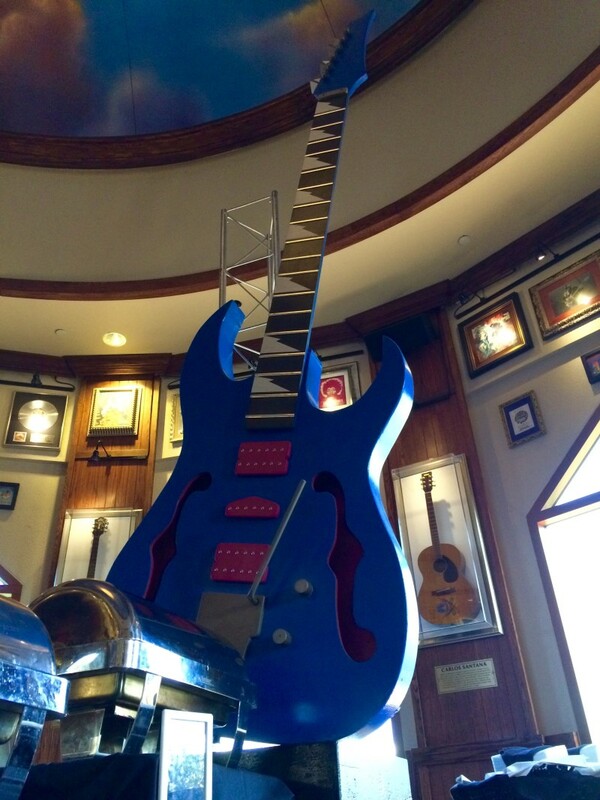 9 foot high replicas of the “Strat” guitar, “Gibson” guitar, “B.C. Rich Warlock” guitar, and the “Martin & Co” acoustic guitar were set as backgrounds for the various action stations around the space. 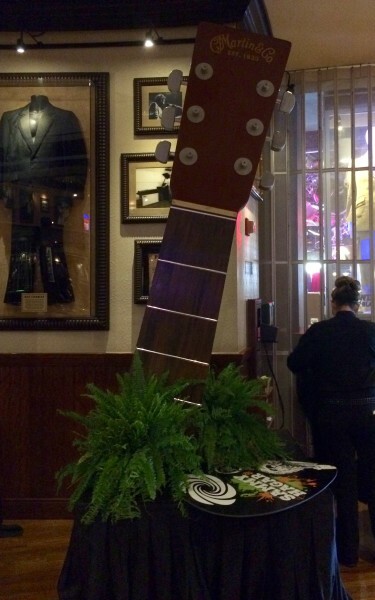 The necks were all set amid accent up lights and foliage. 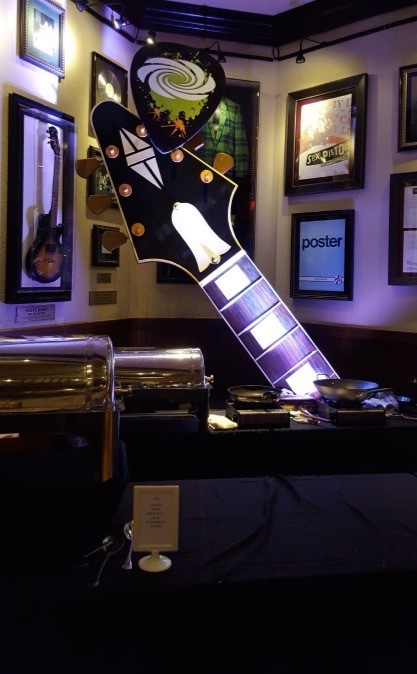 Max King had a tremendous time setting up for this event and it wouldn’t have been possible without our good friends from Stevenson Group!